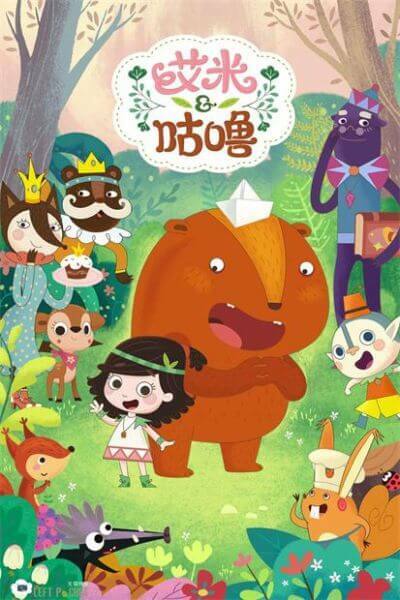 Emmy & GooRoo is an original animation series jointly produced by Youku and LeftPocket Creative. This Chinese carton, majorly created by a Chinese team with co-operation of world-class animators, aims at 3-5 year-old preschoolers. It tells adventurous stories of a cute little girl Emmy and her monster friend GooRoo who are living in a magical forest. The story not only uses cute images and wonderful plots to provide children with different perspectives of the world, but also releases the pressure of parents through magical elements and warm stories. It is a rare international style creation from China. Emmy & GooRoo is an original animation series jointly produced by Youku and LeftPocket Creative. It tells adventurous stories of a cute little girl Emmy and her monster friend GooRoo who are living in a magical forest. The story not only uses cute images, original colors and graphic, but wonderful plots to provide children with different perspectives of the world. Hihi & Lulu love it and strongly recommend!